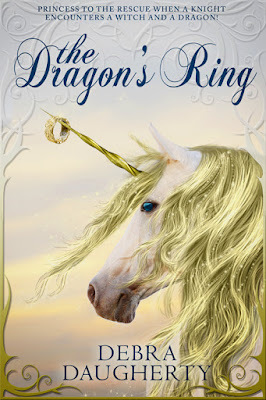 Synopsis: Sir James Trueblood is determined to capture a unicorn so he can marry Princess Isadora. The knight begins his quest, not realizing the Princess is following him in disguise. On his journey Sir James encounters a witch and a dragon. 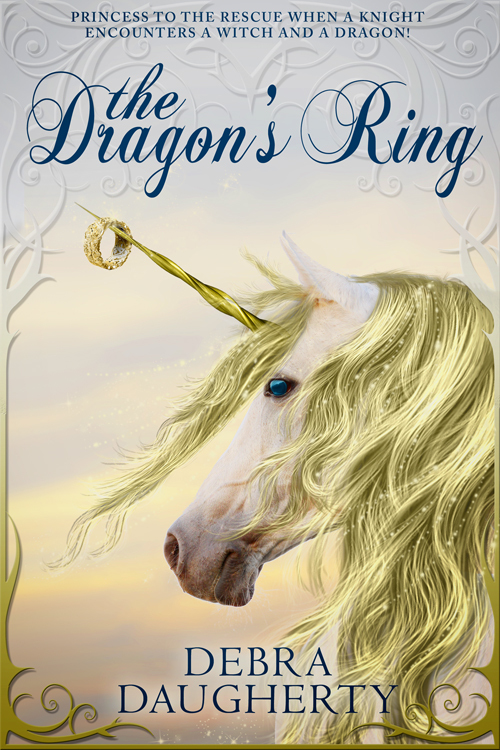 With the dragon’s ring his mission is a success, but then he learns the unicorn will die if not set free. Now he has a dilemma; marry the Princess or free the unicorn. 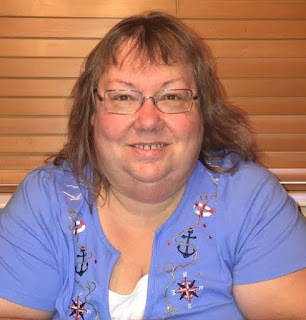 Author Bio: Debra Daugherty is from Central Illinois and is a member of SCBWI, Society of Children’s Book Writers and Illustrators. She enjoys living in the country with her two dogs, a Chihuahua named CeCe, and a rescued American Stratford Terrier named Honey. Besides writing children stories, Debra loves to spend time with her family, travel, and browse through antique shops. Publishing credits include CALAMITY CAT, 2013, Houghton Mifflin Harcourt, and THE DRAGON’S RING, 2016, Astraea Press/Clean Reads. She’s also had two short stories published in Guardian Angel Kids’e-zine, LET YOUR IMAGINATION SOAR! and THE MYSTERY OF THE GHOSTLY THIEF. In 2015 her children’s story, HEART OF STONE, won first place in the Litchfield Student Educational Foundation’s writing contest. Book excerpt: The King stood in one corner of the ballroom and kept a close eye on his daughter and her dancing partners. He was hoping one of the young men would win his daughter’s heart. Sir James was also watching the Princess. With each new partner she took, he imagined her falling in love, and he felt pangs of jealousy. James yearned to dance with the Princess, but felt it would be inappropriate to ask. “But, Your Majesty,” James protested, but it was too late. As the last dance ended, the King beckoned for Isadora to join them. “Dance with this man,” the King told his daughter. Isadora was startled by her father’s command. She had wanted to dance with James all evening, but knew he would never ask her because he was not of royal blood. To dance with her would only give him grief. People would point and gossip, and say the knight had overstepped his boundary, but no one would say anything if it was the King’s wish that they dance together. The music began, and with the King’s permission, James took Princess Isadora’s hand in his and they began to dance. “Dear Princess, I’ll try not to step on your toes, if you promise not to tread on mine,” the knight teased as he twirled her around the room. A troubadour, wearing a bright orange, brown, and black costume bearing vertical stripes, with a tam to match, strolled among the dancers, singing a ballad as the orchestra played. It was one Isadora had never heard before, but the words could have been written by her for James. That saves my soul from weeping. We sealed our love with a kiss. Isadora noticed that the words of the song also seemed to touch James. When he glanced down at her, his eyes flickered, causing her heart to flutter. She knew she loved him. Did he feel the same way toward her? But I am the King’s daughter! He’s but a knight. Even if he did love me, he’d never say. James held Isadora so tightly in his arms she could scarcely breathe. As they floated around the enormous ballroom, her gown made a rustling sound with every turn they made. Isadora’s cheeks glowed with a rosy hue as James pulled her even closer. She was usually not a timid person, but tonight she felt shy and weak in his strong arms. She glanced up at her partner. Their eyes locked and their two hearts beat as one. They made a handsome couple, Isadora in her flowing blue gown and James in his best attire, a deep-blue waistcoat with matching breeches. As the candles on the chandeliers flickered, the diamonds in Isadora’s tiara shimmered, casting shadows of light on the walls. The music played on and on, and yet it was as if time stood still and they were the only two people in the room. Neither spoke, afraid to break the spell between them, and neither wanted the dance to ever end; but of course, it did.